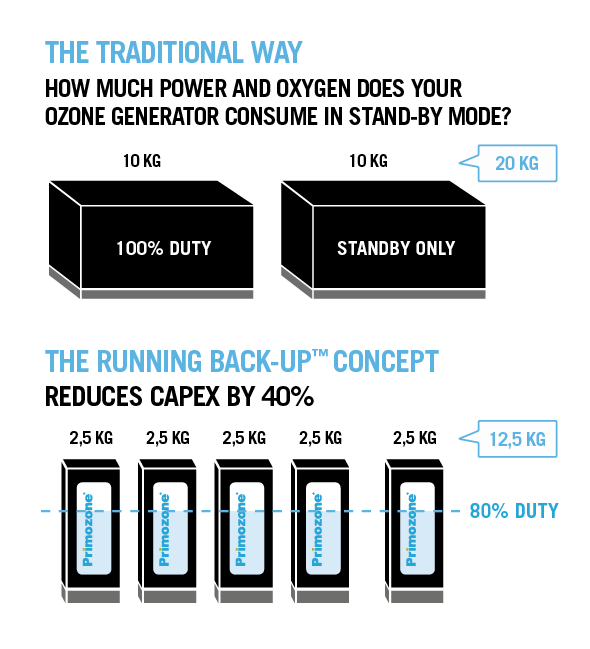 For larger applications, traditional ozone thinking means high volume ozone generators designed to meet peak capacity needs. And duplicates to back them up. With Primozone ozone generators, meeting peak capacity is spread over a number of modules. There is no reason to oversize. Needless to say, the space and capital investment savings this represents can be significant. 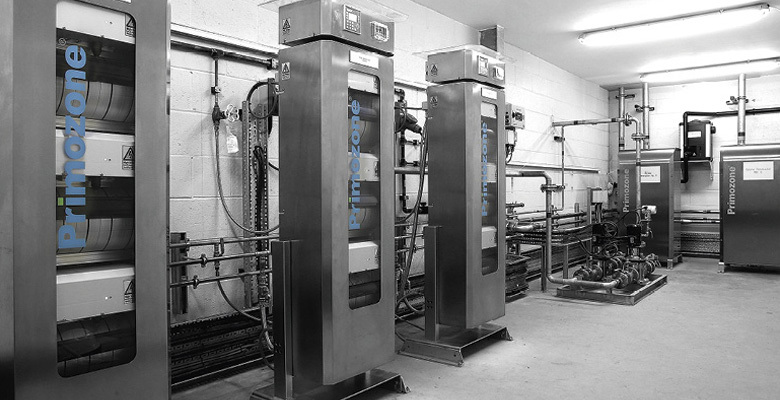 The modular design also means Primozone generators are easy to retrofit into an existing facility – their smaller size will easily fit into the space needed for traditional ozone generators. As your needs change, you can simply add a new Primozone module to meet it. The Primozone control philosophy makes it easy to confidently set ozone production levels and monitor critical values. It provides a good overview of real time system operation parameters, such as oxygen and energy use, while also providing historical data that can be used to benchmark performance. Built-in alarms provide production disturbance alerts which are then logged automatically. Alerts can be set to be sent via sms, or to external control systems. The controller can also be accessed remotely (over the internet), giving the operator the same control they would have onsite.